India – an ancient land of Hindu and Muslim rulers, vast deserts, lush tropical forests, mountains, and bustling cities. With all the excitement and mystique this nation continues to hold, there’s little wonder why it has become of the world’s top tourist destinations. While Hyderabad may not have the exhilaration of Mumbai and Bollywood, architectural picturesqueness of Jodhpur or the tropical splendor of the beaches found in Goa, this historic city has much to offer the traveler who is perhaps eager to experience some of the country’s deep religious history and old culture. 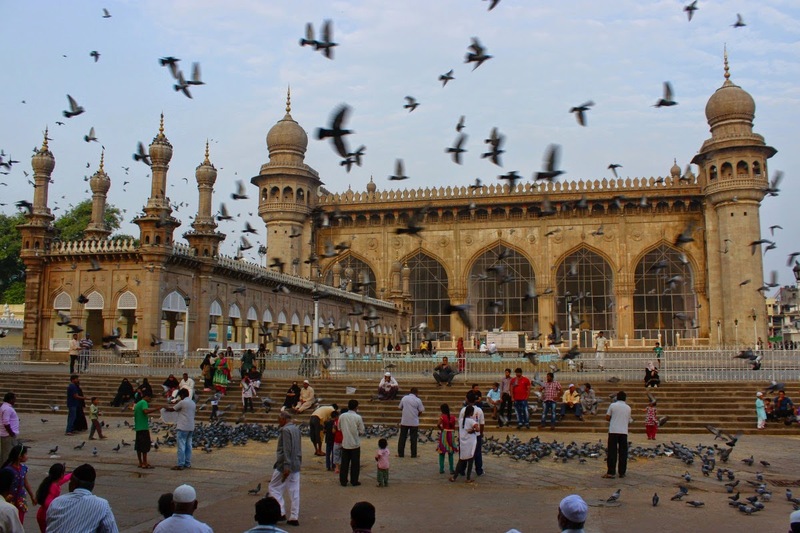 Charminar is a testament to the area’s deep Islamic heritage. A mosque and fortress rolled into one, Charminar has become of India’s most recognized landmarks and a major tourist attraction to boot. Join thousands of other sightseers as they walk up endless flights of steps into the four minarets (towers) for awe-inspiring views of Hyderabad. Here’s a rich piece of Indian history waiting to be explored by you. 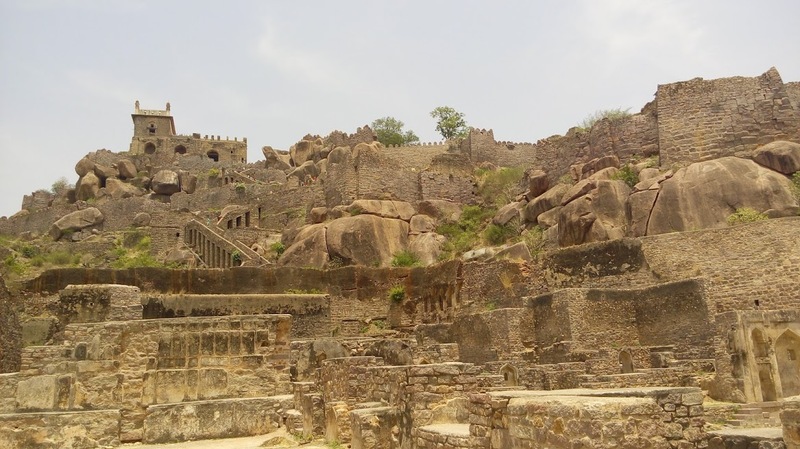 Built in the 12th century, Golconda Fort is the former capital of the Golconda Kingdom that ran India for 200 years beginning the 14th century. A true architectural wonder, the entrance to this fortress has a device that makes the sound of a handclap that was used to warn the king if an enemy force was preparing to attack. Golconda Fort sits on top of a 400-feet high granite hill, which gives commanding views of the city. 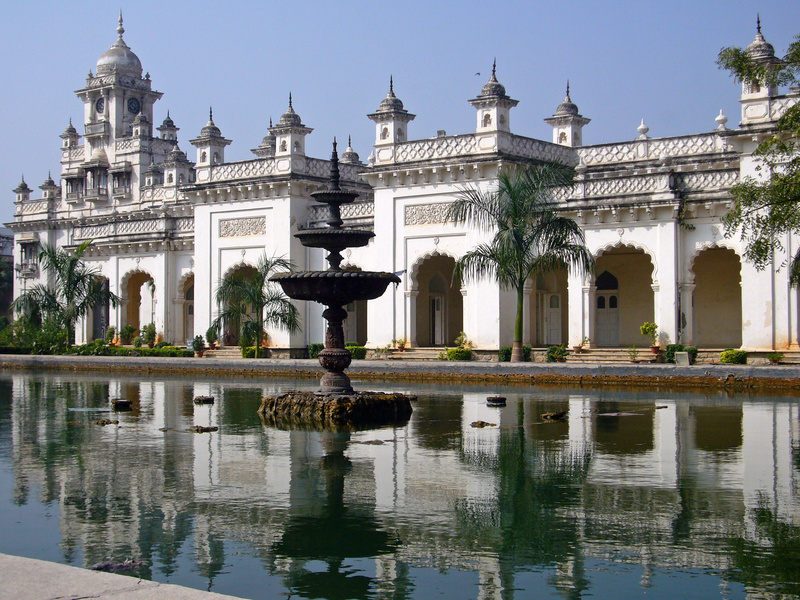 The Chowmahalla Palace dates back to colonial India of the 18th century when the Asaf Jahi dynasty ruled the country under the direction of Great Britain. With its expensive interiors, marble – tiled floors, crystal chandeliers, and garden courtyards, the Chowmahalla Palace is truly fit for a king. You will see where the royal family entertained their guests and get a feel for the way life was three centuries ago. 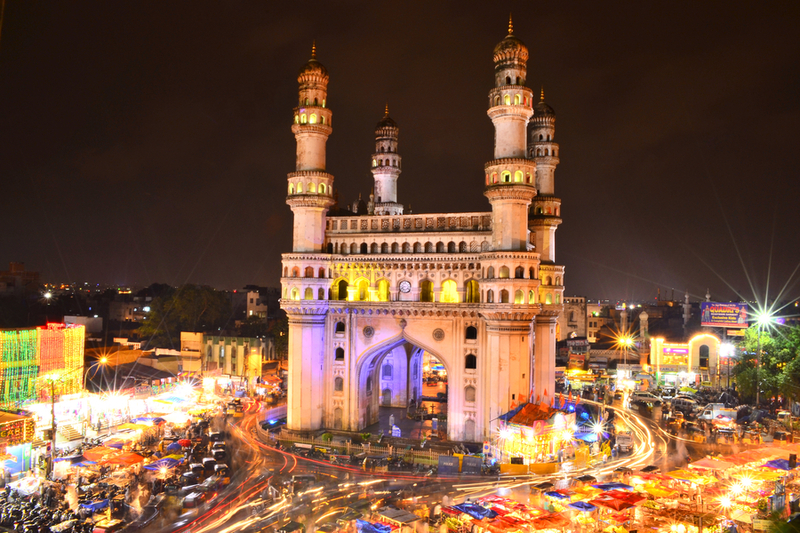 As you’ve seen so far, Hyderabad is rich in history. This heritage site is the burial ground of Sultan Quli Qutb Mulk, one of several kings who ruled during the Qutb Shahi dynasty. Take your time as you browse through the numerous stones and tomb chambers that hold the remains of these important historical Indian figures. 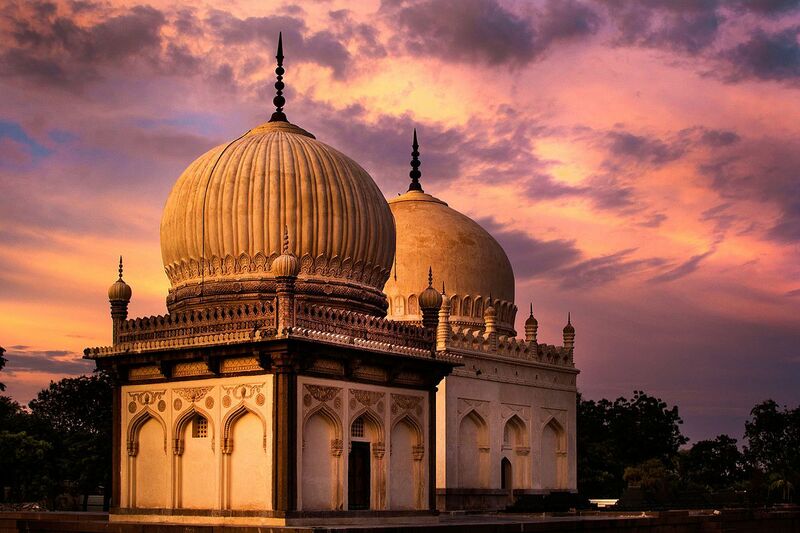 The Qutb Shahi Tombs are located in the garden district. The sultan had his own tomb designed during his reign, as had been the custom for centuries. In Hindu mythology, Jagannath is seen as the Lord of the Universe. It’s worth taking a tour of this temple dedicated to the famous Hindu god. Each year, thousands of devotees come to this temple for the Rathyatra festival. 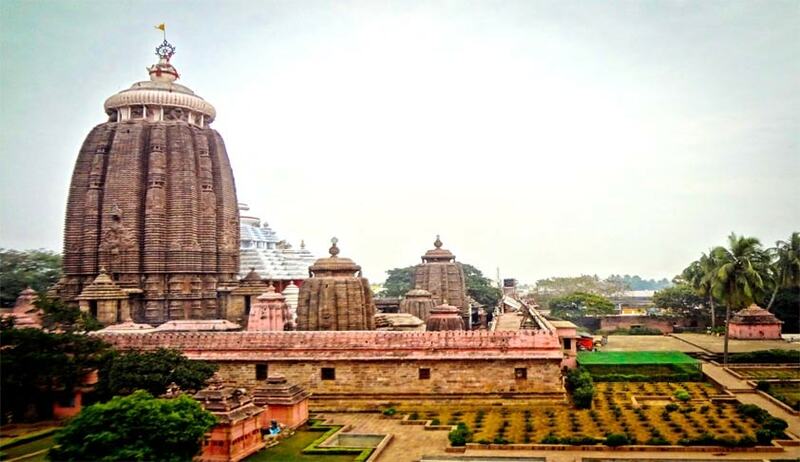 The Jagannath Temple has been designated as a sacred site for celebrating various Hindu festivals in the city throughout the year. Not only is the Makkah Masjid one of the largest mosques in the world, but it also took nearly a century to complete. This famous place of worship opened in 1694, 77 years after construction initially began. The mosque is constructed of bricks made from the soil of the holy city of Mecca. Inside, the main worship area can seat upwards of 10,000 people at a time. If you visit this amazing site, you will see passages of the Quran inscribed into the arches. Even a strand of the Prophet Mohammad’s hair is preserved in the courtyard. This artificial lake was built in 1562. It’s part of the tributary of the Musi River. At one time, the lake was the source of the city’s main water supply. 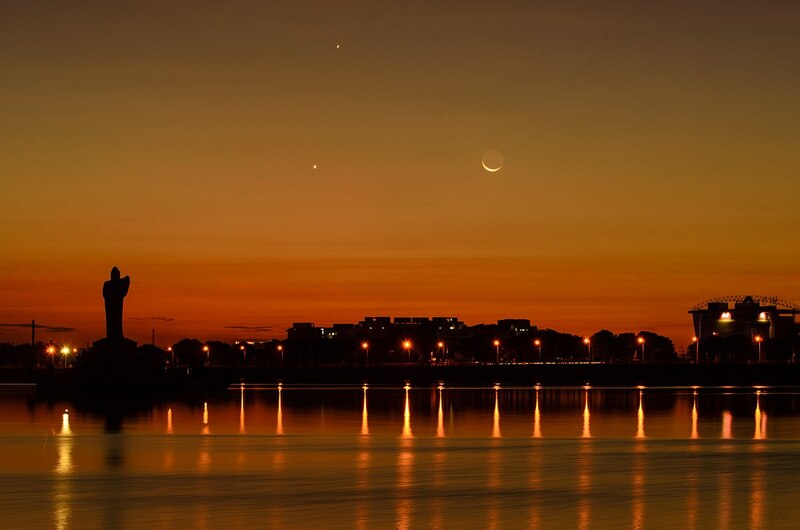 Today, the Hyderabad has two lakes for supplying water. There’s an island in the middle of the lake where an 18-meter statue of Buddha sits prominently. It is lit up at night. On warm days, Hussain Sagar sees plenty of sailing activity.